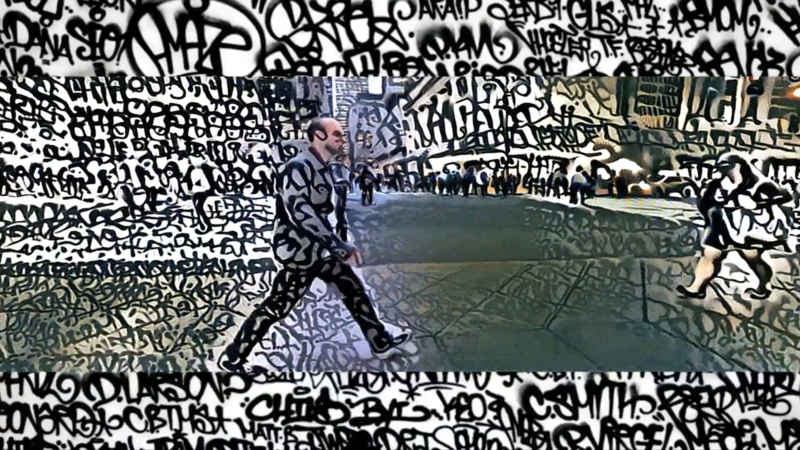 For countless graffitos, New York City has been a gigantic canvas tagged in many styles and colors, and this cultural history gets a neural network remix in the new music video for hip-hop artist Krussia‘s track, “Reshape.” Originally from Russia and now based in New York City, Krussia came across the neural network experiments of artist and programmer Gene Kogan a few years ago, and was intrigued by how he had imported various artistic styles into videos, as he did when transposing Pablo Picasso’s Blue, African and Cubist periods onto famous footage of the Spanish artist painting on glass. 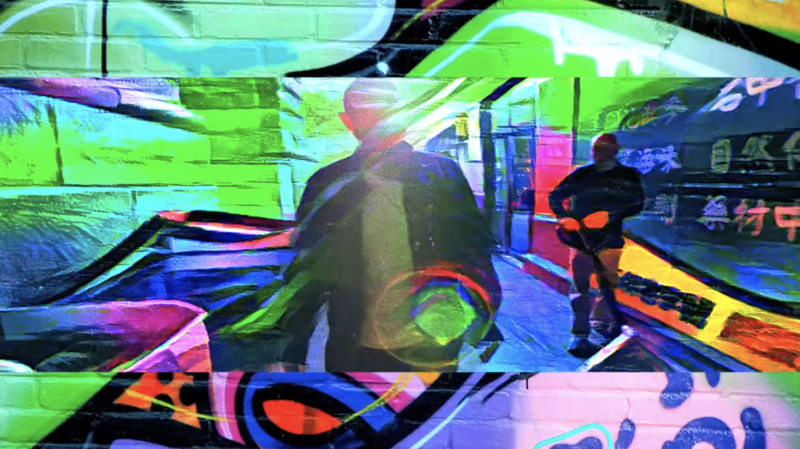 Wanting something similar for “Reshape,” Krussia enlisted Kogan and director Dan Melamid to create a moving, psychedelic homage to graffiti using the style transfer technique, which is something like Drew Geraci’s work on the neural timelapse of China. As Kogan explains on his website, the style transfer works are mostly created using programmer Justin Johnson’s code (inspired by a paper by Gatys, Ecker, and Bethge) that “[demonstrates] a method for restyling images using convolutional neural networks.” As he learned from Kyle McDonald, the best images for style transfer are heavy on strong textural components and patterns. In keeping with the open-source culture of neural network art, Kogan has posted instructions for style transfer technique. “I sourced the vast databases of what is out there online, trying to get a mixture from classic subway pieces and detailed blackbook images, to new school burners, throwups, and tags on dirty walls,” Melamid tells Creators. 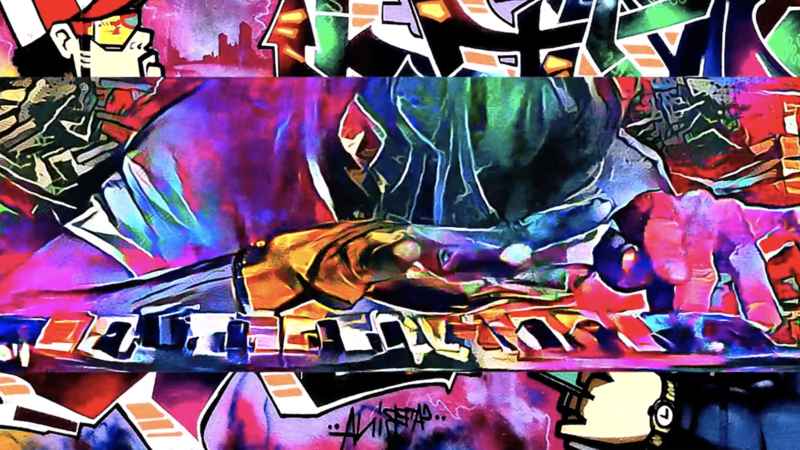 “I tried to incorporate the work of legendary graffiti artists that have shaped the culture. Click here to see more of Gene Kogan’s work, and here to see more of Dan Melamid‘s work.